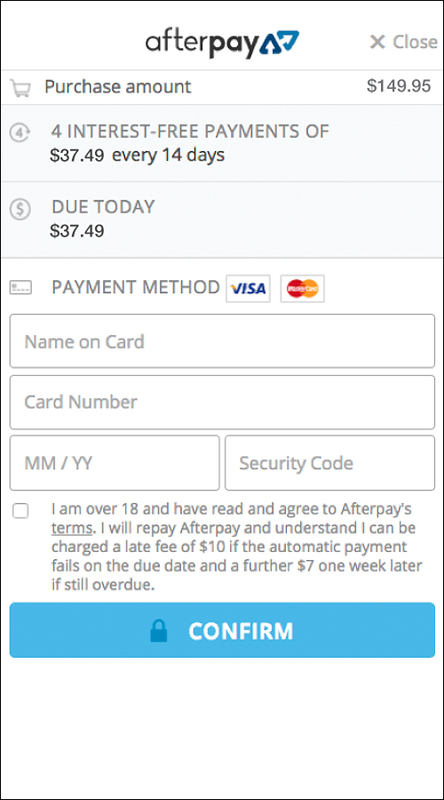 Simply select Afterpay as your chosen payment method then follow the on screen prompts to log in or create your Afterpay account to complete your purchase. 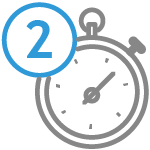 Your payments will be split into four equal instalments due every fortnight. 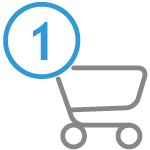 Nominate the card you want to use and automatic payments will be scheduled for you. 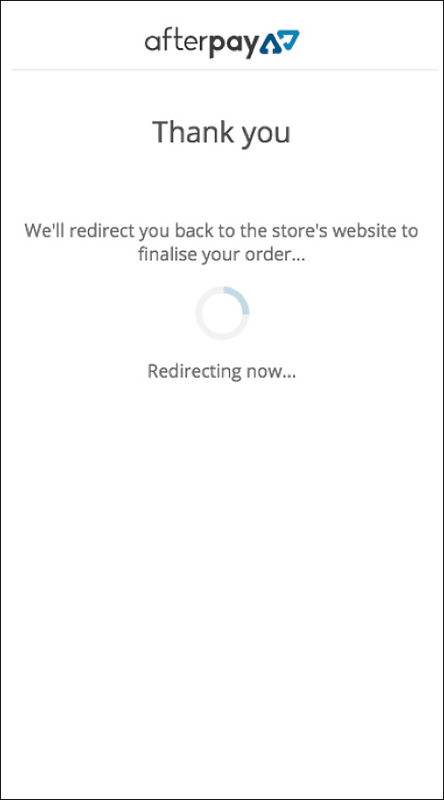 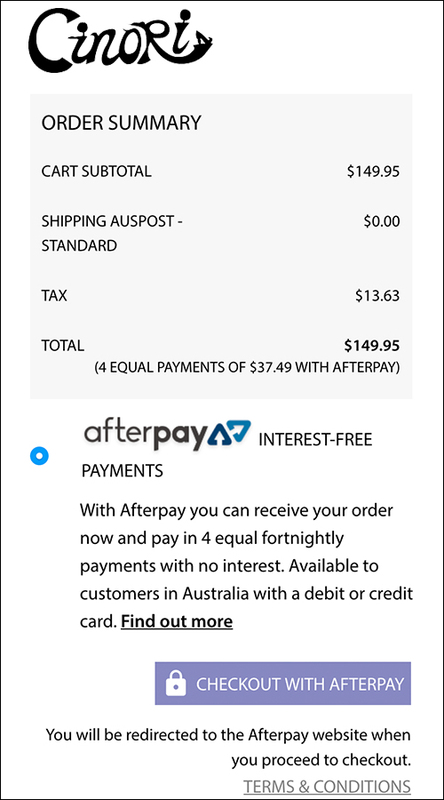 Afterpay uses your mobile phone number and a few personal details to create your account instantly before re-directing you to your Cinori order confirmation.